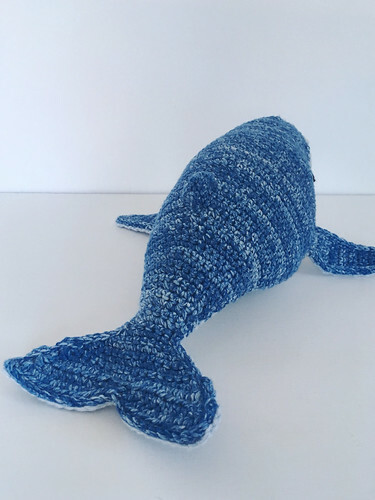 The pattern called for Vanna's Choice acrylic yarn and a size G (4.0mm) hook, but I chose to use Hobby Lobby's I Love This Cotton yarn and a size E (3.5mm) hook so that the whale would match the other sea creatures I was making. I knew I was taking a risk changing yarn and hook from the pattern, but I think it still worked out well! 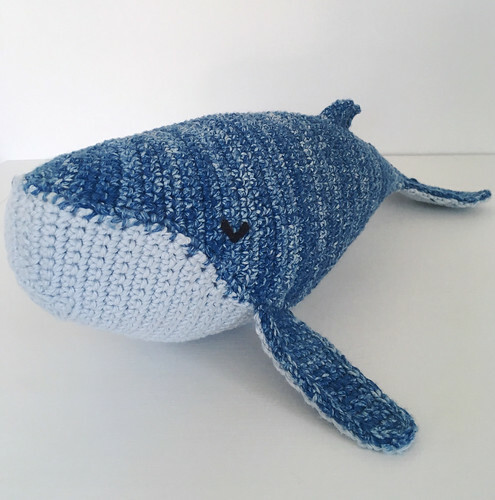 If I was to make this whale again, I think I would try the Vanna's Choice yarn to see how much larger it would have turned out. 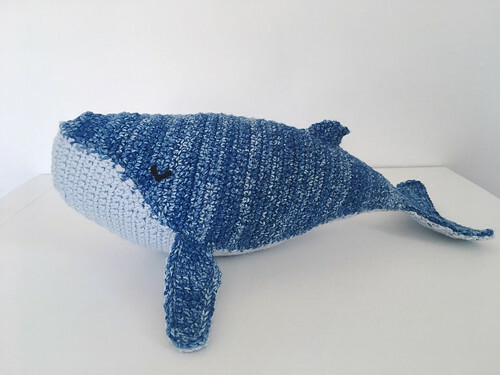 I'm so used to making smaller animals, that it was fun making something a bit larger!